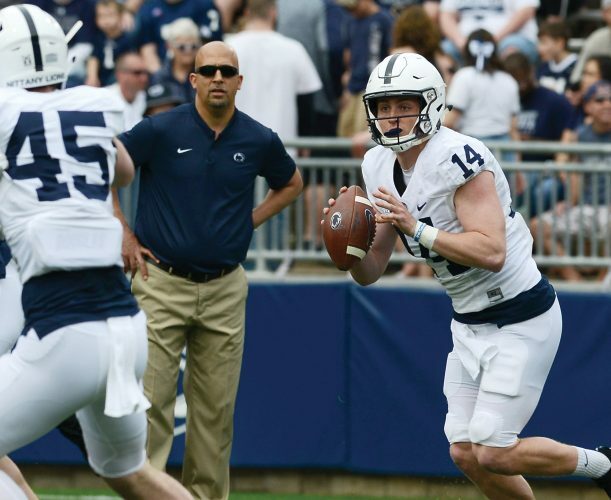 UNIVERSITY PARK – Penn State linebacker Mike Hull was selected preseason first-team All-Big Ten by Athlon Sports, with four additional Nittany Lions on the second-team. Athlon also selected coach James Franklin and the Nittany Lion coaching staff as the nation’s No. 9 coaching staff among the 125 Football Bowl Subdivision schools. Hull was second on the team with 78 tackles (44 solo) last year despite missing two full games and most of two others due to injury. He added 4.5 tackles for loss, 0.5 sacks, one forced and one recovered fumble. Joining Hull on Athlon’s all-conference team as second-team selections are: senior safety Adrian Amos, sophomore quarterback Christian Hackenberg, junior cornerback Jordan Lucas and junior tackle Donovan Smith. Junior tight end Jesse James was named preseason All-Big Ten by Sporting News, which selected one all-conference team. MINNEAPOLIS – Bob McNamara, an All-American football player for Minnesota in the 1950s and later a major fundraiser for the university, has died. He was 82. The university announced McNamara’s death on Monday. The school says McNamara died after a long illness on Sunday night. McNamara played for the Gophers from 1951-54. He was an All-American halfback and the team MVP in 1954. He played professionally for the Winnipeg Blue Bombers in Canada and the Denver Broncos in the AFL. After his playing career was over, McNamara was one of the school’s leading fundraisers. He played a big role in raising money for the new outdoor football stadium. McNamara is survived by his wife, Annette, and three children. Stansbury had been a starter on last season’s Aggies’ defensive front, playing in 10 games and recording 47 total tackles and three sacks. Sumlin did not elaborate the personal matters Stansbury was addressing. In April, Stansbury was arrested and charged in Harris County with misdemeanor assault after a Rice University student accused him of pouring beer on the student’s head and punching him in the face. Stansbury’s attorney has said the charge is a case of mistaken identity. Sumlin also confirmed in a statement that freshman defensive back Victor Davis has been suspended from the team after his recent arrest in his hometown of Rosenberg on a shoplifting charge. MANKATO, Minn. – A judge likely will allow the attorney for former Minnesota Gophers quarterback Philip Nelson to have access to brain scans of the former football player Nelson is accused of assaulting, after the prosecutor and a lawyer for the victim indicated no opposition to the request Monday. Nelson, 20, is charged with first-degree assault after a confrontation with former Minnesota State, Mankato, football player Isaac Kolstad in downtown Mankato on May 11. Nelson is accused of kicking Kolstad, 24, after Kolstad was punched during an altercation. Nelson’s attorney, Jim Fleming, wants 11 CT scans that were taken between May 11 and May 20. Fleming said he needs the medical records to prepare Nelson’s defense. Fleming provided a proposed motion that, if approved by Judge Bradley Walker, would allow him to get the images directly from the hospital. Assistant Blue Earth County Attorney Pat McDermott said he is not opposed to the proposal but wanted more time to review it, The Free Press reported. Surveillance video showed Kolstad pushing Nelson before another man, 21-year-old Trevor Shelley, ran up and punched Kolstad, causing him to fall and hit his head on concrete, investigators reported. Shelley also has been charged with felony assault. Kolstad is now undergoing rehabilitation. DALLAS – The Big 12 Conference has assigned a female official to work one of its games for the first time in league history. Commissioner Bob Bowlsby said Monday that Catherine “Cat” Conti will be on the crew for Kansas’ season opener at home Sept. 6 against Southeast Missouri State. Kansas coach Charlie Weis jokingly said he’ll try not to use as many curse words during the game.